Hudson Global rounded up six of the top workplace and hiring trends for 2017 and we thought a closer look at their findings was in order. Whether you're content in your position, in full-on job search mode, or curious about career opportunities, it’s important to know that the world of work is dramatically shifting. Scott Scanlon, Editor-in-Chief of Hunt Scanlon Media share's six top workplace and hiring trends that are worth a closer look. By now, we’re about done glancing in the rearview mirror as 2016 fully recedes. Spring will soon arrive, and with that change will likely come good opportunities in business and in careers. Whether you are a team leader thrilled with your current position, in full-on job search mode, or curious about career opportunities down the road, it’s always smart to have the lay of the land — and an awareness that the world of work is constantly shifting. With that in mind, Hudson Global rounded up six of the top workplace and hiring trends for 2017 and we thought a closer look at their findings was in order. Of course, digital products and services have been around for quite some time, but today almost everything we do at work and at home can be connected to a digital tool. Exhibit A: A smart hairbrush recently unveiled at the Consumer Electronics Show listens for hair breakage and sends analytics to an app to help improve your hair care choices. Digital is truly everywhere. While there’s no need to follow your follicle trends (unless you want to), it’s important to understand, manage and embrace the benefits of the digital tools available for the workplace. With mobile devices, e-mail, Twitter and Linkedin, people are now connected with work around the clock. And that, of course, is whether we like it or not. While it seems as if we are always working, some research we’ve looked at recently indicates a decline in employee engagement and productivity. This year, employees, managers and HR departments are expected to use digital tools to mitigate workplace stresses rather than compound them. For instance, adopting new work management platforms that also encourage scheduling time for personal wellness, restorative downtime and sleep. Some companies are also upgrading their HR systems so employees can manage expenses, schedule training, track time and get tech support as seamlessly as they can order a car on their phone. What effect this has, ultimately, on engagement is anyone’s guess. But one thing is certain: Business and human resource leaders should rethink almost all of their management and HR practices as the proliferation of digital technologies transform the way organizations work, this according to predictions for 2017 from Bersin by Deloitte, Deloitte Consulting LLP. As they do, be sure you fit in to the new world of work. HR departments are no longer expected to keep a company running smoothly behind the scenes. The role of human resources is expanding to include strategizing about employee benefits, improving company branding, conducting workforce planning and providing training for the future. Talent acquisition’s job doesn’t end at onboarding, but continues into maintaining a skilled, engaged and satisfied workforce, which is now understood as crucial to organizational and business success. To help manage these expanded responsibilities, recruiters and HR professionals are using digital and non-digital tactics to facilitate screening, improve diversity, enhance candidate experience and boost employee development. In addition, HR data analytics continue to gain popularity. Organizations of all kinds, from sports teams to Wall Street stock traders, are all turning to the world of analytics in their hunt for talent. The big data and business analytics market will grow to $130 billion by 2020, according to IDC’s Worldwide Semiannual Big Data and Analytics Spending Guide. “The availability of data, a new generation of technology, and a cultural shift toward data-driven decision making continue to drive demand for big data and analytics technology and services,” said Dan Vesset, group vice president, analytics and information management at IDC. How you and your career fit in is only now beginning to be fully understood. This isn’t new, but the importance of the comprehensive experience of employees and prospective employees continues to grow. Companies can’t create a lunch hour employee yoga program, offer greater workday flexibility, or construct an inviting breakroom and consider the employee experience well managed. Those are all valuable offerings, but a worker’s experience goes beyond the physical workplace or a single program offering. Today’s workers want to feel they are being viewed as individuals, the work they do is appreciated, and the organization is helping facilitate that throughout their tenure with the company. For example, companies can benefit by offering varied, ongoing, university-type learning experiences, rather than one-off workshops. This way, employees have ownership of their learning and know the company respects their workload and deadlines. Instead of climbing corporate ladders, Millennials are one demographic group focused on learning to ensure long-term career security as they seek to build a ‘career for me.’ Just 17 percent of American Millennials rank aspiring to leadership roles as a top career priority. This figure includes: managing others (four percent), getting to the top of an organization (four percent) and owning my own company (nine percent). All three ranked at the bottom of American Millennials’ list of career priorities in almost all 19 countries in a recent global research study, except Mexico, where their entrepreneurial drive put “owning my own company” at the top of the list ….. Here’s some further reading from Hunt Scanlon Media. The vast majority of Millennials see ongoing skills development as an important part of their future careers. They would pay for it personally and give up their own time to do it. But there are varying degrees of desire, capability and commitment to learning. Read more here and listen to a great podcast on the subject. Respectful treatment of all employees at all levels was rated as very important by 67 percent of employees, making it the top contributor to overall employee job satisfaction, according to a report by the Society for Human Resource Management (SHRM)..
“As the economy stabilized after the recession, employers began to focus again on factors that impact retention and employees found flexibility to seek out more compatible positions if they were ready to move on to new challenges,” said Evren Esen, director of SHRM’s survey programs. “Employees consider culture and connection to be of utmost importance. Feeling appreciated for their time and efforts creates an obvious and lasting bond between employees, management and their organization.” So, as you make career considerations in 2017, survey your employment landscape carefully. Research confirms that highly-inclusive businesses are more successful and more nimble in the face of a rapidly changing world. Companies have been striving (and struggling) for years to achieve greater diversity. But in recent years, many organizations have committed to transparency in their employment diversity to ensure accountability and accelerate change. Also, new digital assessment tools are becoming available that uncover unconscious bias in hiring processes, management teams and leadership development. So, before you join a new company, and a new team, take a look at how both treat people of all stripes. While unique employee perks, such as pet-friendly offices, will continue to be important, they aren’t as important as classic compensation such as health insurance, vacation time and 401(k) matches. A study by Glassdoor found the traditional benefits had the greatest influence on employee satisfaction with their company’s perk offerings. The issue with employee discounts, parental leave, and pet-welcoming offices is they don’t enfold the entirety of the workforce, where more traditional benefits will assuredly be appreciated by all employees. In the Glassdoor research, health insurance coverage had the greatest impact on employee satisfaction with a benefits package. 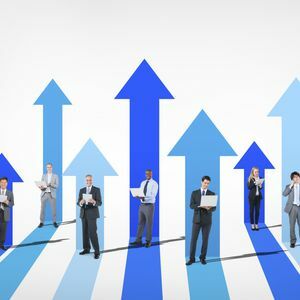 “As the U.S. economy continues to expand and job market confidence continues to rise, there is no doubt it is a job seeker’s market,” said Rusty Rueff, Glassdoor career and workplace expert. “This is a clear signal to employers that in order to compete in today’s labor market, it’s not just about salary and compensation, employers should be communicating clearly about non-traditional compensation. Recruiters should take note that touting the benefits and perks offered can help win talent of different demographics, industries and occupations.” Before you make that next leap forward, then, consider the pay but also consider lifestyle, and your happiness quotient. Employee reviews, engagement assessments and performance are no longer relegated to a yearly or even monthly schedule. Some companies are adopting weekly “pulse surveys” for employee feedback. When organizations are open to frequent input from employees on a large and rapid scale, important issues and valuable ideas emerge that are often forgotten before annual reviews. Digital performance management tools also enable companies to seek instant feedback about targeted issues, such as the value of a regular meeting, employee sentiment about company culture or ideas for the redesign of an office. According to a survey of HR executives conducted by Saba, companies feel the need for consistent employee feedback across age groups and genders in order to gain an accurate measure of engagement across an entire organization. It also confirms the need for continuous feedback to gain early warning of gaps between the perception and reality of the effectiveness of training and development programs. “Employees need to be empowered to provide suggestions for improvement or what they like, giving them a voice in the company,” said Amanda Green, vice president of training and development at boutique executive search firm Becker Wright Consultants. “The first 90 days is a make it or break time for any new hire. Providing a feedback mechanism early on helps reinforce the culture of continuous feedback.” Takeaway lesson? Don’t just jump at the first opportunity that comes your way this year. Find an environment where, above all else, you’ll be respected and valued as a full fledged member of a 21st century enterprise.